Downloading free PDF books is so easy, you'll wonder why you never thought of it before! This Embroidery Stitches Free PDF Book features easy picture tutorials for six hand embroidery techniques, including the running stitch and back stitch. It's perfect if you're just learning how to embroider. You can print out the PDF to fold into a book, or you can save it on your mobile device to take it with you on the go. That way, you can practice your stitches on your lunch break, on the train, or wherever you may be! Thank you so very much for this great post - it is exactly what I need to help me start a small project I have been delaying the start of! I have been getting really irritated with myself for not starting but I simply did not have the confidence required. Reading your Book of Embroidery Stitches post has made me realise that I CAN do it so now I am good to go! 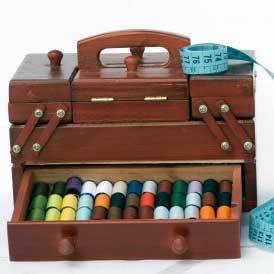 This is an excellent reference to the most basic stitches one will need when doing embroidery. It is well illustrated and explained. Thanks for sharing!